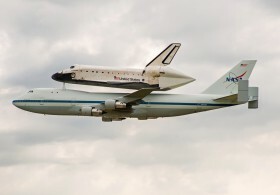 NASA 911, one of two retired 747-100 Shuttle Carrier Aircraft that ferried NASA’s space shuttles. 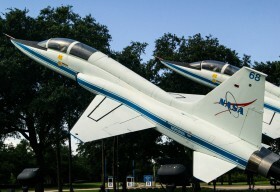 It is now on permanent display in Joe Davies Heritage Airpark, California. 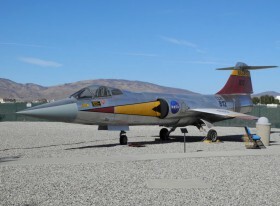 One of the three F-104 modified for NASA improvement pilots. 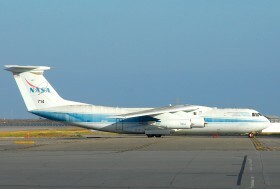 In service 9/63 to 1/87 and 4442 flights. 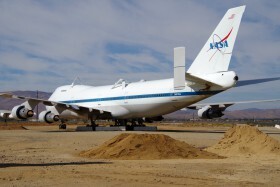 Aircraft is located before entering to Lockheed Martin, in Palmdale, CA. 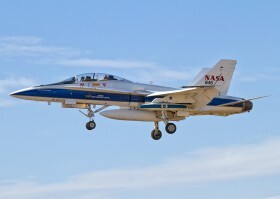 F-5E modified under the SSBD (Shaped Sonic Boom Demonstration) programme to demonstrate how to shape a shock wave during supersonic flight and thus reduce a sonic boom. 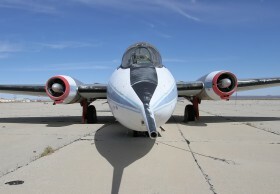 For the Czech reader is interesting to note that during these tests were also used planes L-23 Super Blaník that carried sound and pressure measuring devices. 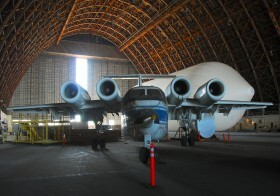 Preserved at the Valiant Air Command Warbird Museum. 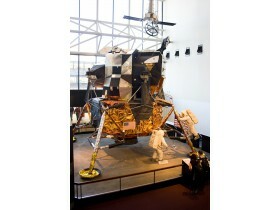 Apollo Lunar Module of serial number LM-2 which was intended for the second unmanned mission was finally preserved and exposed at National Air and Space Museum in Washington D.C.
Space Shuttle Endeavour ferry flight. 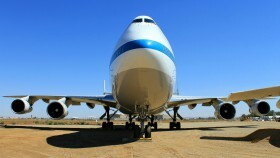 On board the SCA, a converted Boeing 747-100 obtained from American Airlines in the early 1970s. 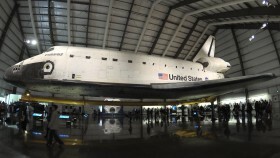 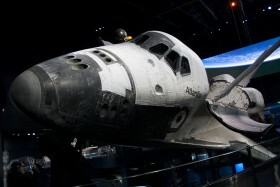 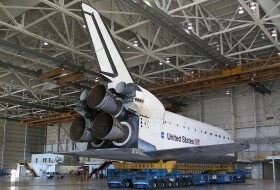 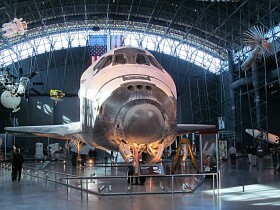 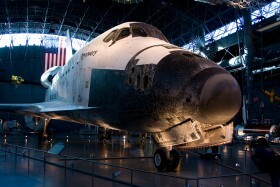 Nose detail of Space Shuttle Discovery (in service from 1954 till 2011). 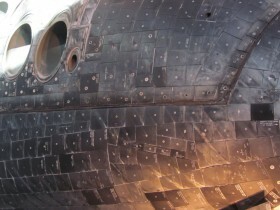 Dots in each tile indicates how many flights tiles has been flown. 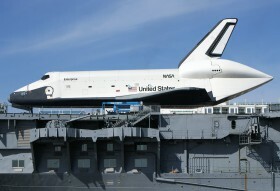 Circular holes are maneuvering thrusters. 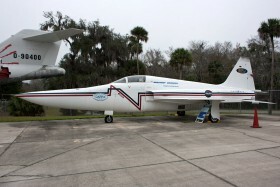 Quiet Short Haul Research Aircraft. 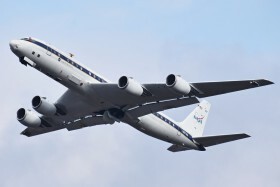 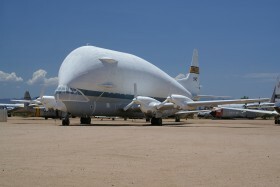 Originally DHC-5 modified for NASA by Boeing.